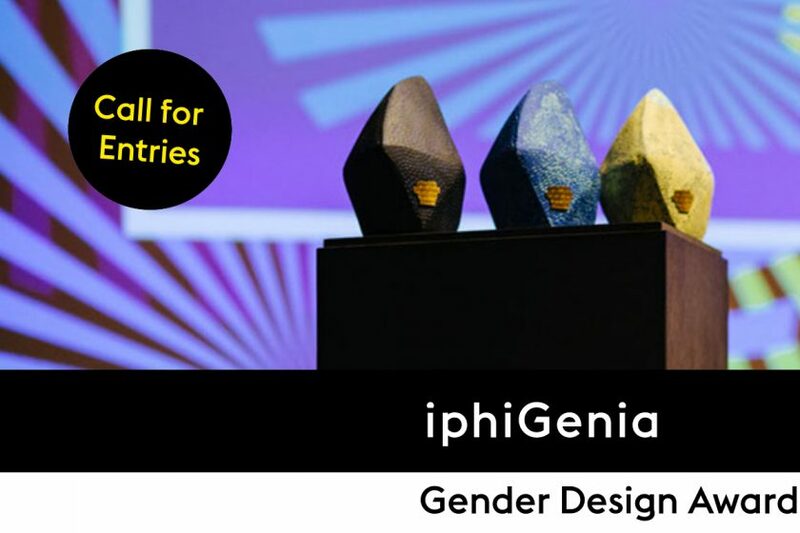 The Danish agency MINDSHARE will be awarded with the first international Gender Design Award iphiGenia »Revolution«. How did you get the idea for Image Hack? The idea came to life by continuously experiencing the difficulty in finding pictures in various image banks that actually portrayed women as strong, independent and equal to men. If we don’t provide the advertising industry with non-stereotypical images of women it’s going to be very hard to change the media land scape and this is why we started working on the idea, that ended with Image_Hack. You talk about »legal hacking«? What is legal hacking? We used the stock sites’ own algorithms to “hack” the site. By tagging our pictures with words as beautiful and strong, we were able to “hack” the site to show pictures of strong and independent women in non-stereotypical roles, when people search for beautiful women on a stock site. What does the term »beautiful women« mean to you? Beautiful women are strong and independent women. How did the cooperation with Dove come about? Dove Denmark is one of our clients and we presented the idea to them, which they liked a lot. Did you get any reactions from companies, agencies or other people? Please tell us a little about the feedback. We got several reactions. Initially, people thougt that the project was very ambitious (almost impossible to succeed with), as we didn’t just show the problem but also presented the solution and needed a collective effort from photographers, agencies and brands around the world to make a change. After the initiative started working, we got a lot of positive feedback and recognition from the industry. Could you imagine launching a similar image hack regarding beautiful men? If not, why not? We’ve been asked this several times. We don’t plan to do this yet, but we are working on other projects involving gender stereotypes in advertising. Do you think you can act as a role model for others? We don’t need to be role models, but we hope to inspire others to change the way they portray women (and people in general) in advertising and media. Could you tell us about your future plans? 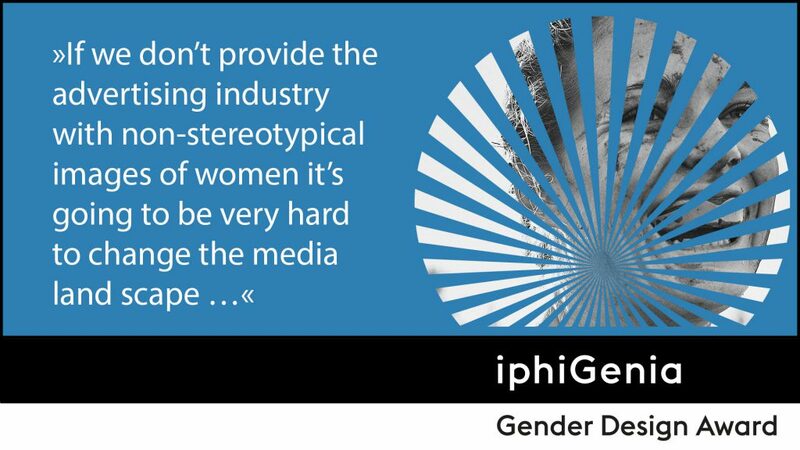 As mentioned earlier, we are working on new initiatives regarding gender stereotypes in media. And the Image_Hack initiative continues to be important in our daily work at the agency. 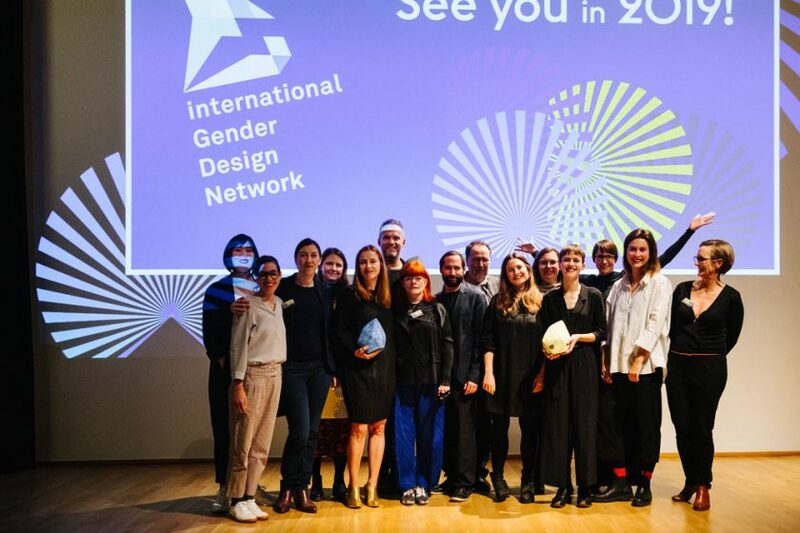 Has the Image Hack campaign helped you, both internally and externally, to raise gender awareness? Absolutely. We got a lot of media coverage and PR and have been nominated and awarded for the campaign. This helps gaining more awareness about gender stereotypes in the media and how we, as agencies and brands, have the power to change the image of women in advertising and media. Thank you MINDSHARE, for an inspiring and sustainable designed campaign, that carries great chances on the long way to equal women. 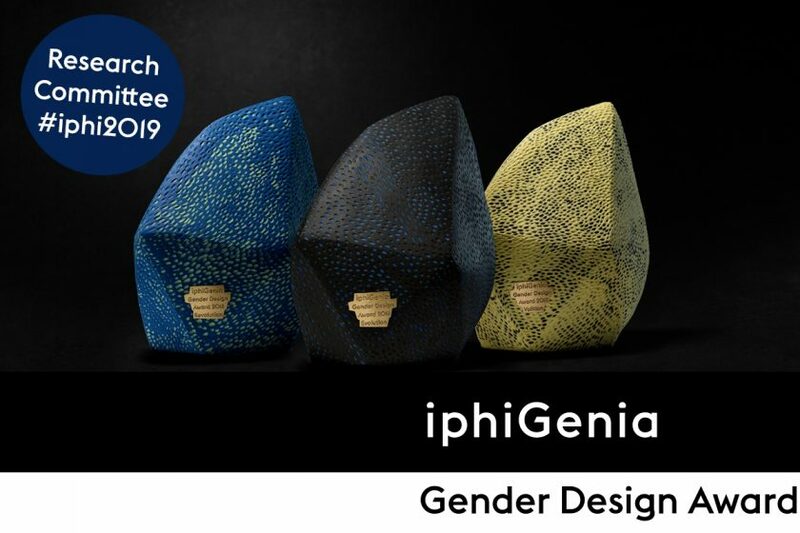 The iphiGenia Gender Design Award will be given to MINDSHARE on 12 October 2017 at 7pm at the Cologne Museum of Applied Arts/MAKK.